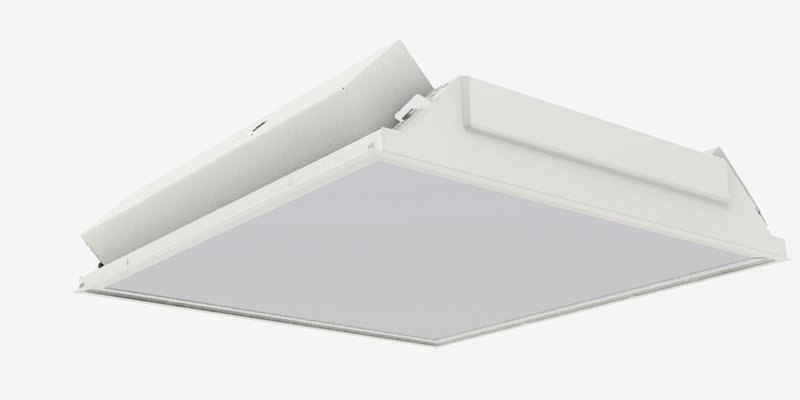 2×2 and 2×4 recessed high lumen high bay/low bay troffer. Up to 128 lumens per watt available. L70 projected @ 102,000 hours. Aluminum housing for reduced weight and excellent thermal management.